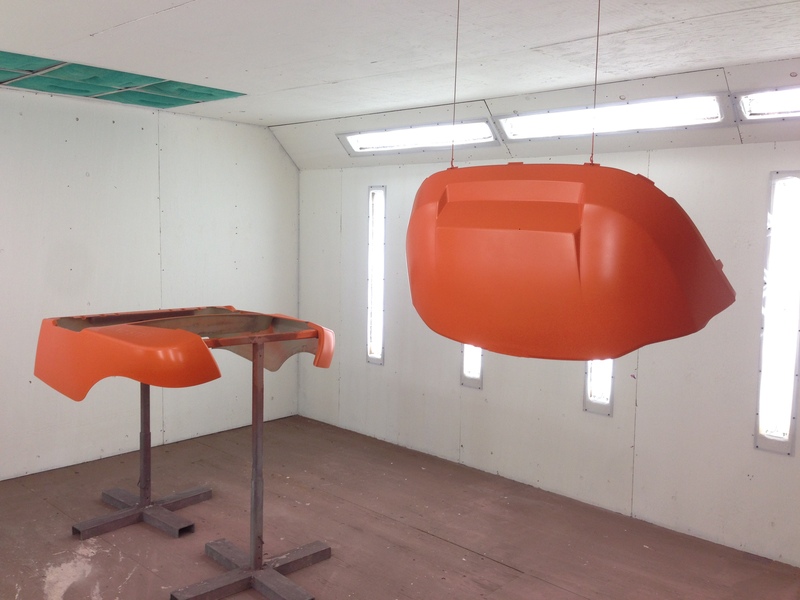 Welcome back to our second week building the Lamborghini Orange resort cruiser. 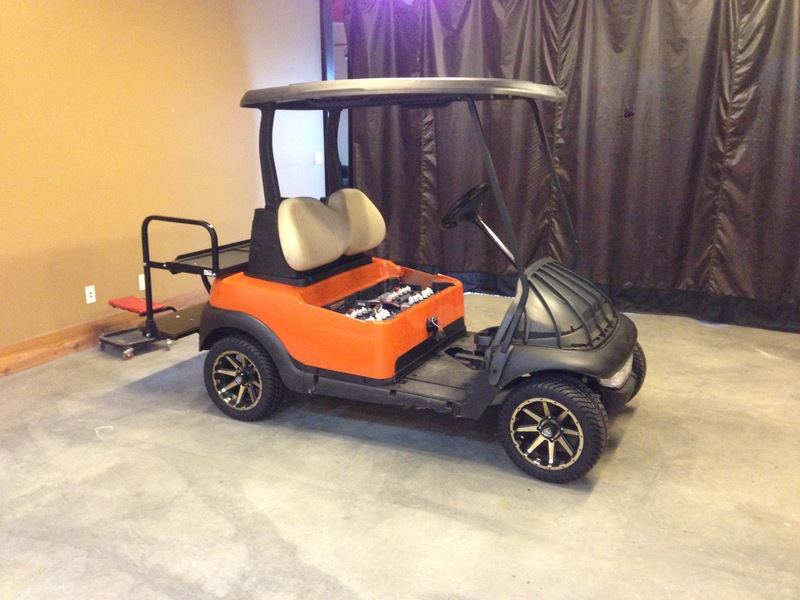 This custom Club Car Precedent is heading to Edmonton at the end of the week and it’s coming together quickly! 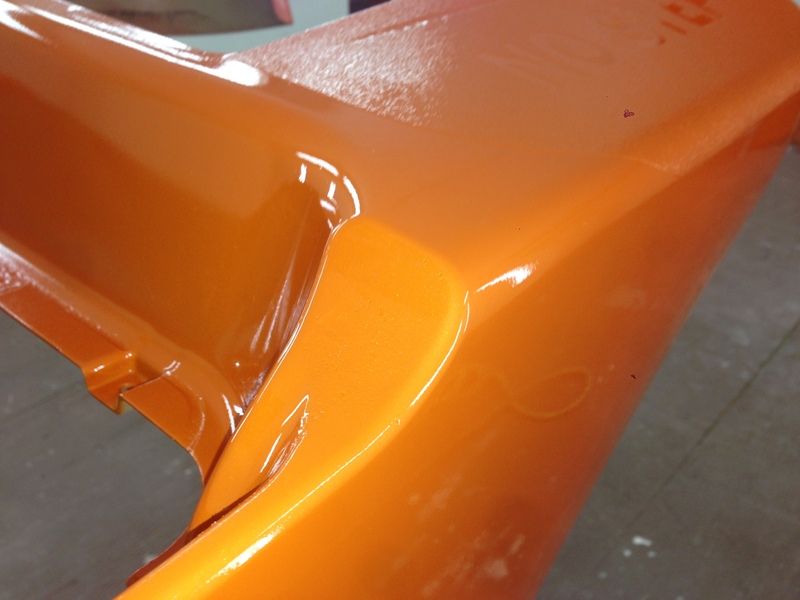 Now here is a bright color, this is the base coat for this super bright Lambo tri-coat paint job. Check it out now, this is with the pearl mid coat and the clear coat. What a sweet color. 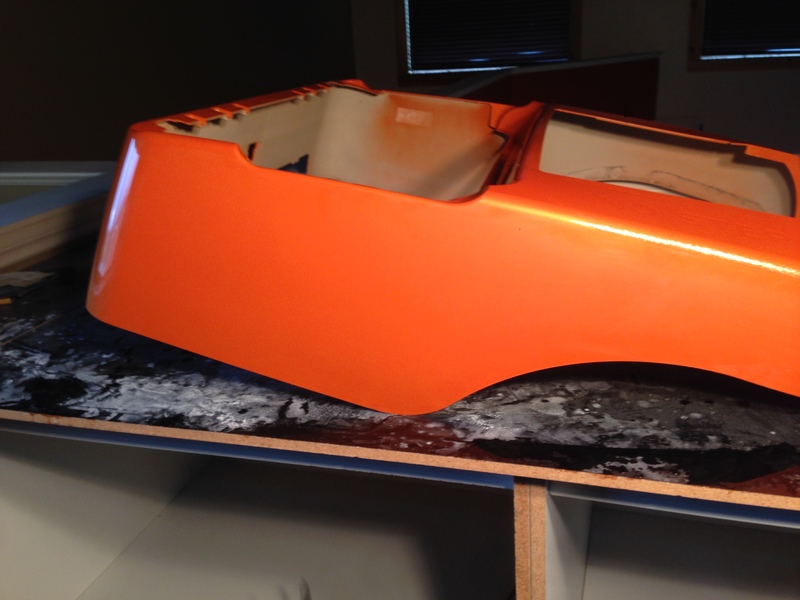 We pulled the body out of the booth and hit with some wet sanding. It’s always amazing how the shine comes back after cut polishing. Here it is after being sanded through all the grits and ending up at 2500 grit sand paper. 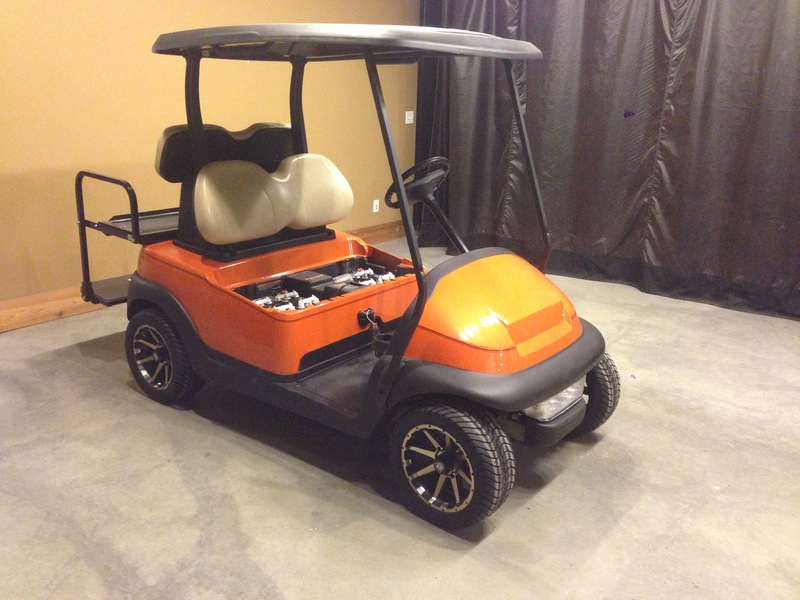 With the body cut polished we installed it on the cart. Look at how well these custom 12″rims pick up the color of the paint. This cool Precedent isn’t just going to be for show, it is going to be a people mover. 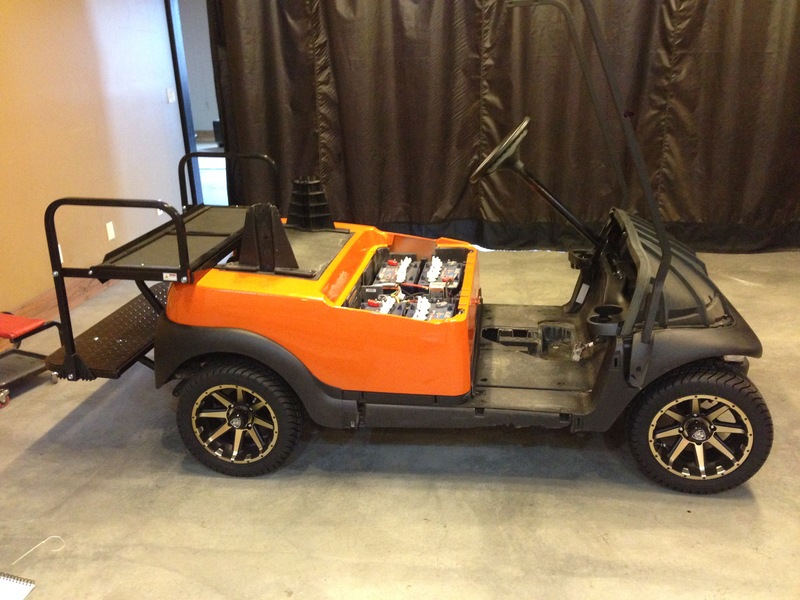 Here we installed the OEM Club Car roof and upholstery. Now we are getting somewhere, the double pinstripe always adds a touch of style. 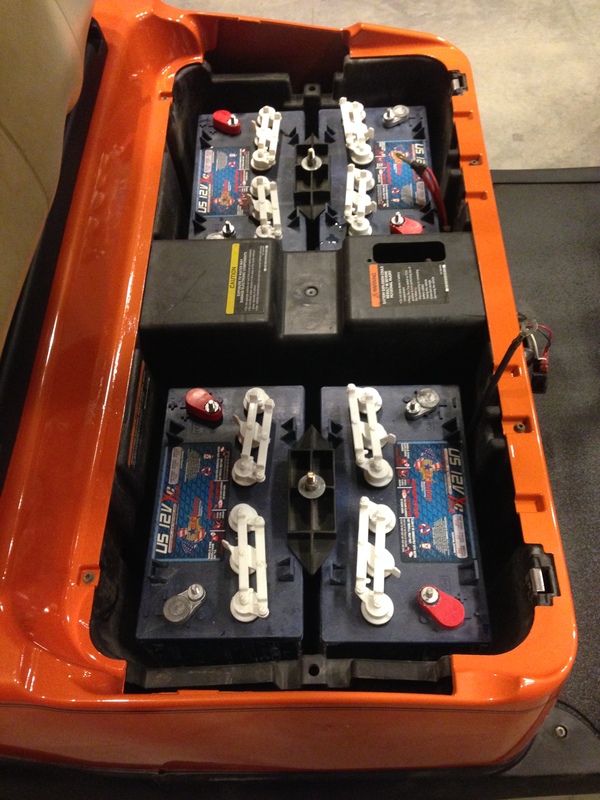 Powering this machine is a set of US Battery 12 volts! This bright machine will be making it’s way home this Saturday, so you can catch a sneak peak of it all finished on our Facebook later this week, or come back next week for the finally! 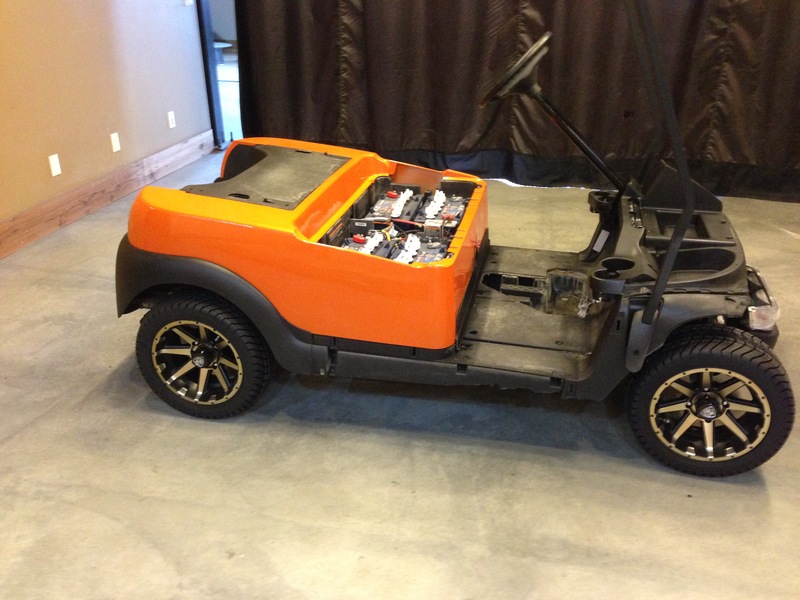 Have you caught up on the first post of this Lamborghini orange golf cart?